in the vicinity of My Favourite Planet. Paul Simon's own rendering of this song is, of course, sublime, and should be heard rather than read. Jerry Lawson (of The Persuasions) also recorded an impressive bluesy version. Back in 1971, when this song was first released, most of the planet was enmeshed in a global conflict known as "the Cold War", the hottest, vilest, most visible manifestation of which took place in Vietnam and neighbouring countries in Indochina. No sooner was the war against Communism over, than the offensive on "militant Islam" began. The first Gulf War was merely a prelude, and since the tragedy of 9/11 we have all once more been in a perpetual state of war. Looks like some of us are gonna be up for a while yet. Since the recent mass killings in Paris and California this war has entered a new phase: a new beginning with no end in sight. War is yet again becoming the norm, even if it has not yet reached your town. Of course another world is possible. Peace is possible. Alternatives are there and must not only be acknowledged but explored and realized. It is up to us. It is the responsibility of each and all of us. 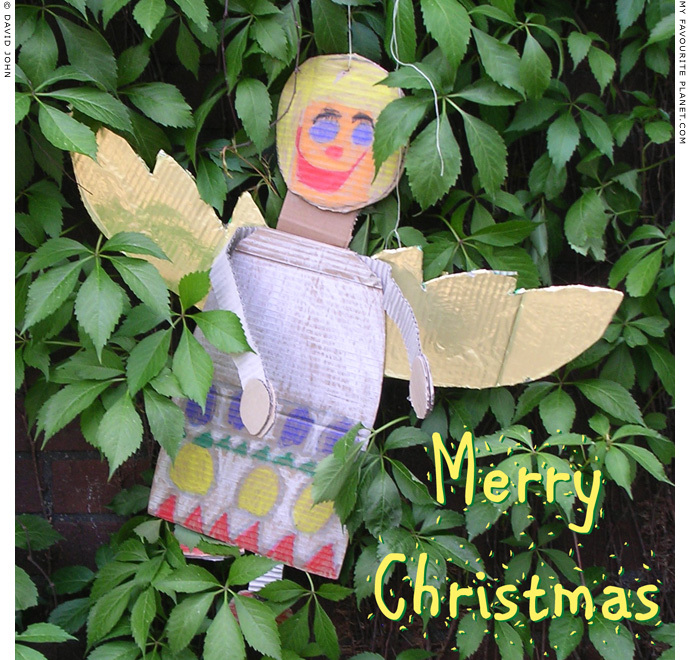 Angel by children of a multicultural kindergarten in Berlin, Germany.